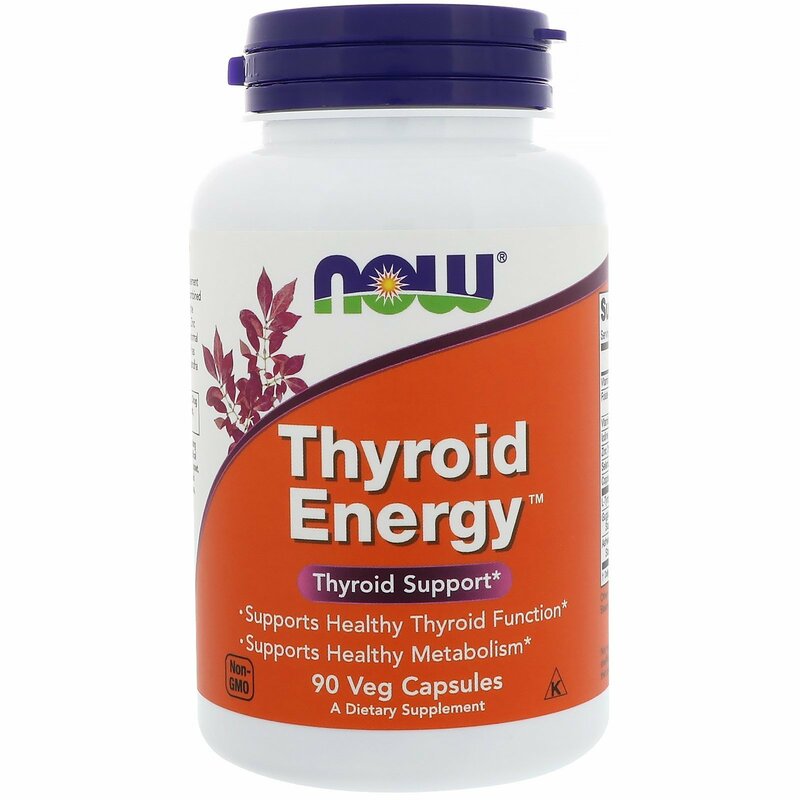 NOW Thyroid Energy is a complete nutritional supplement for the support of a healthy thyroid gland. NOW has combined Iodine and Tyrosine, the two constituents necessary for the synthesis of thyroid secretions. 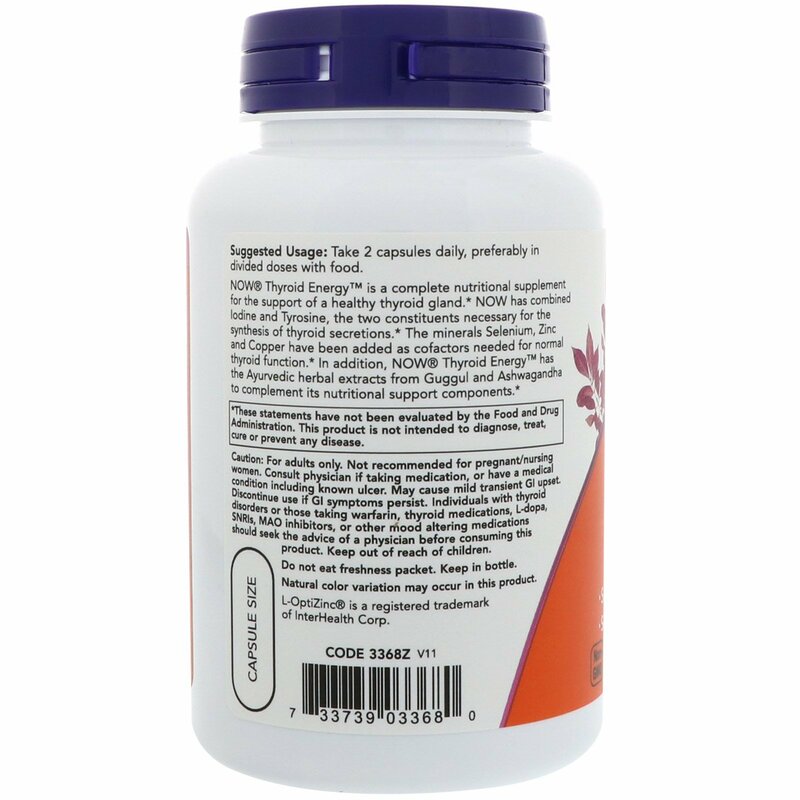 The minerals Selenium, Zinc and Copper have been added as cofactors needed for normal thyroid function. In addition, NOW Thyroid Energy has the Ayurvedic herbal extracts from Guggul and Ashwagandha to complement its nutritional support components. Take 2 capsules daily, preferably in divided doses with food. Caution: For adults only. Not recommended for pregnant/nursing women. Consult physician if taking medication, or have a medical condition including known ulcer. May cause mild transient GI upset. 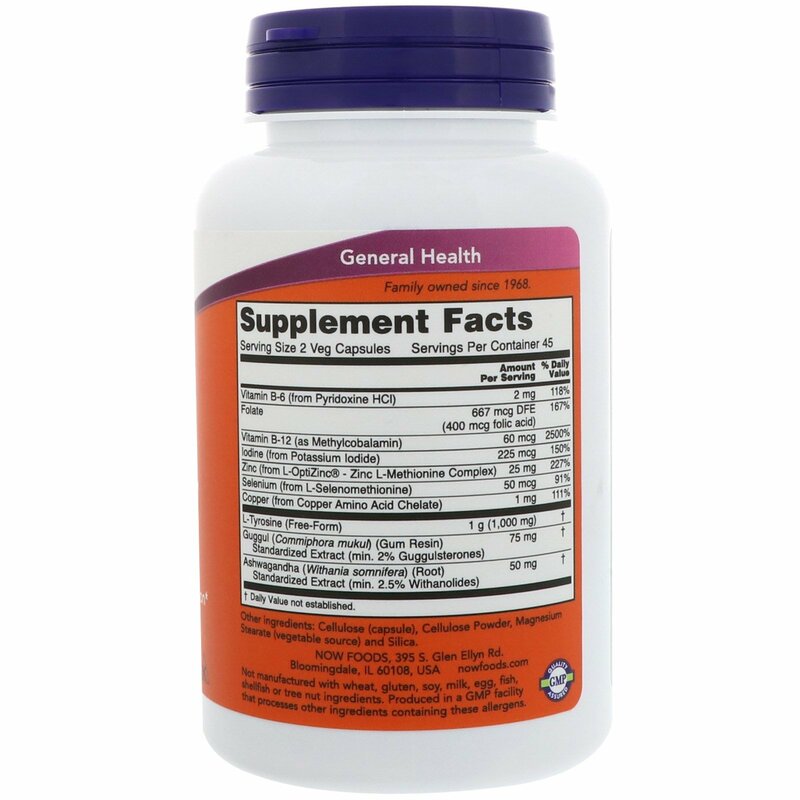 Discontinue use if GI symptoms persists. Individuals with thyroid disorders or those taking warfarin, thyroid medications, L-dopa, SNRIs, MAO inhibitors, or other mood altering medications should seek the advice of a physician before consuming this product. Keep out of reach of children.